The Peace in Kurdistan Campaign, Kurdistan National Congress UK, Kurdish People’s Assembly in Britain, and Freedom for Öcalan Campaign UK invite you to a discussion event to mark the release of Your Freedom and Mine: Abdullah Öcalan and the Kurdish Question in Erdogan’s Turkey (edited by Thomas Jeffrey Miley and Federico Venturini). On 10 December, International Human Rights Day, we will call for the release of Abdullah Öcalan, Kurdish freedom fighter, intellectual leader and political prisoner for 19 years. Like Nelson Mandela before him, Abdullah Öcalan has been a charismatic and intellectual inspiration for his people. In the 1980s he led the Kurdistan Workers Party (PKK) in armed combat against the Turkish State, a state whose violence against the Kurdish people had led to Turkey earning a reputation as Europe’s worst human rights violator. The number of pro-Kurdish political prisoners in Turkey has reached more than ten thousand. In recent years Öcalan has repeatedly called for a political solution to the Kurdish Question, has called on Turkey to lay down its arms and meet Kurdish representatives around a table of peace. Kurds in Syria, is held jointly by a woman and a man, while civil society is being organised on a cooperative basis with great focus on ecological sustainability. In the international effort to defeat so-called Islamic State (ISIS/Daesh), the military units of the DFNS have been at the frontline of the battle, providing the “boots on the ground” for the International Coalition. The DFNS have lost 6000 lives in this war. Thus far the repayment for this brave fight and heroic sacrifice has been to be excluded from the peace negotiations contrary to UN Security Council Resolution 2254 (2015) which resolves that “the only sustainable solution to the current crisis in Syria is through an inclusive and Syrian-led political process that meets the legitimate aspirations of the Syrian people.” If this exclusion continues it will represent one of the most obscene political betrayals of the conflict. Abdullah Öcalan is approaching his twentieth year in near complete isolation; he has been denied the right to see his lawyers since July 2011. Although he was allowed a number of visits by the Pro-Kurdish (HDP) MPs during the peace negotiations, some of whom are also now imprisoned, since April 2015 the visits have been blocked and the peace process has been abandoned by the Turkish government. 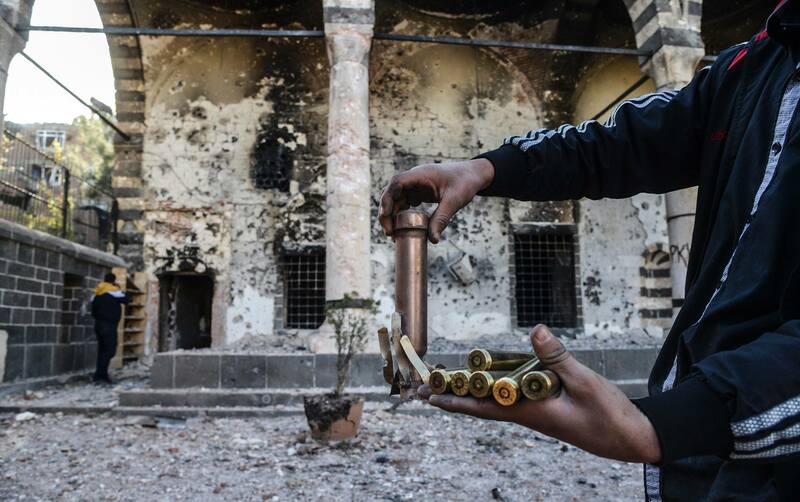 The Kurds are deeply concerned for the wellbeing of their leader. It is time for the international community to call for his immediate release. The power, the intellect and the compassion of Abdullah Öcalan stand in stark relief to the repression, the arrogance and the almost complete abrogation of human rights of those such as President Erdogan of Turkey, who stand against him. The March on 10 December will start at 12 noon at the BBC and proceed to Parliament Square, where a rally will be held with speakers from different organisations, including: Christine Blower, NUT International Secretary; Simon Dubbins International Director UNITE; Dr Thomas Jeffrey Miley, Peace in Kurdistan Campaign & Imrali Peace Delegation; Lindsey German, Convenor Stop the War Coalition; Bruce Kent, CND; Margaret Owen, Peace in Kurdistan – Women Alliance for Kurdistan, Syria and Iraq; Faiz Baloch, Free Balochistan Movement; London Basque Solidarity. AND TO CONDEMN THE 15 FEBRUARY INTERNATIONAL PLOT AGAINST THE KURDISH FREEDOM MOVEMENT! Victory in Kobane: What next for the Rojava Revolution? On Friday 13th and Saturday 14th February thousands of people gathered in Strasbourg to call for freedom for Kurdish leader Abdullah Ocalan, who is entering his 17th year in prison on the island of Imrali. The events came after many days of walking as many hundreds of people trekked across Europe to Strasbourg in a show of solidarity with the PKK leader. 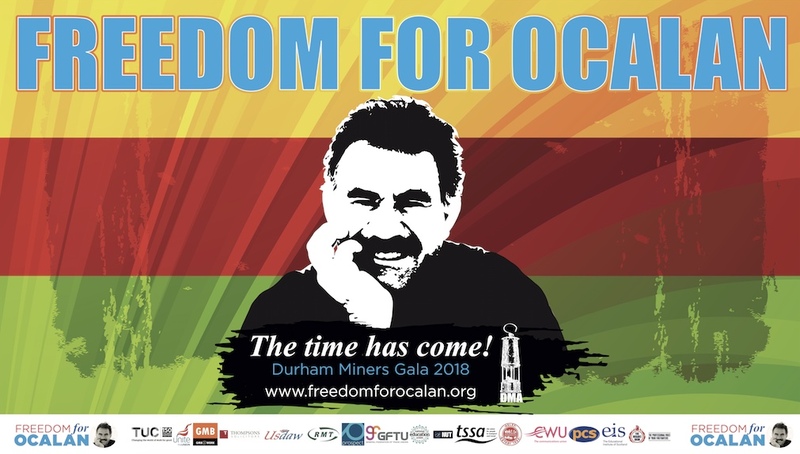 The incredible results of the Free Ocalan Campaign, in which over 10 million people signed a petition calling for Ocalan’s release, were also handed in to officials at the Council of Europe. Thank you to filmmakers System D for the video! Today, thousands of people have gathered in Strasbourg for the culmination of a huge international campaign calling for the release of Abdullah Ocalan, leader of the PKK, on the 16th anniversary of his abduction. 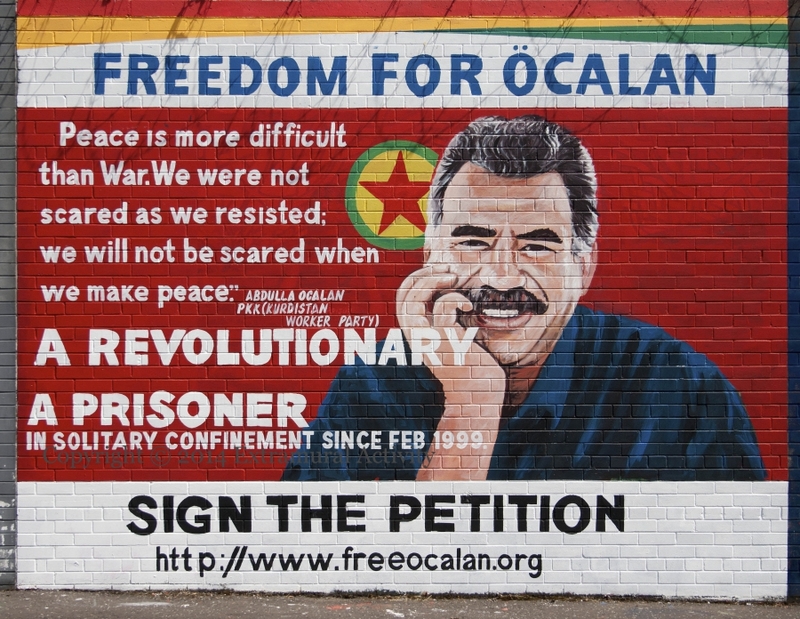 An incredible 10.3 million people from across the world signed a petition demanding freedom for Ocalan. 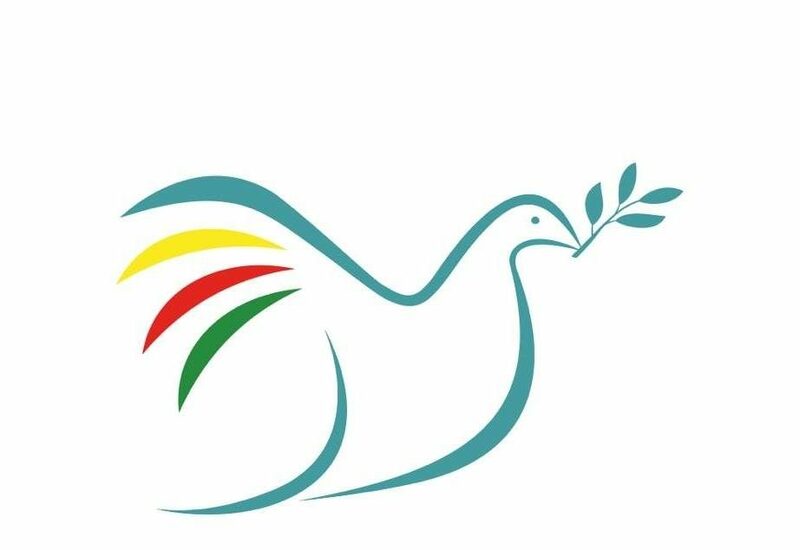 Peace in Kurdistan Campaign has proudly supported the campaign from the beginning and sent a solidarity statement to the organisers of today’s press conference, as did Margaret Owen on behalf of all our patrons, who were among the first signatories to the campaign. I Margaret Owen, on behalf of the UK based PATRONS OF PEACE IN KURDISTAN, who are among the “first” signatories of the petition to secure the release Abdullah Ocalan from his 16 year incarceration on the Isle of Imrali by Turkey, greet you. We send our most fervent wishes to the organisers of the March to Strasbourg and to all those gathering in Strasbourg on February 13th to demand that Ocalan is freed. The long imprisonment of the Kurdish leader is one of the greatest injustices in history, not just for the Kurdish people, but for all peoples of the world who salute Ocalan for his breadth of vision in defending the universal values of democracy, pluralism, gender equality, and freedom.